The second Accessibility Scotland 2017 happened on the 22nd of September 2017, and like our first event it was sold out. The theme explored accessibility perspectives from both inside and outside of digital. What can digital learn from traditional non-digital fields about creating better services that work for more people? Our second outing provided delegates with the opportunity to propose discussion topics and to then engage with other delegates to discuss their topic of choice. Our distinguished list of speakers spoke on themes around Inclusive Design, Accessibility, and curry. 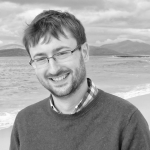 Michael is a Lecturer at Robert Gordon University in Aberdeen. His early research focused on methods that can be used to design technology for older adults, with attention paid towards the individual’s cognitive. 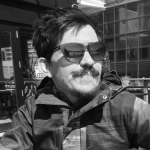 His current work focuses on the user experience that is associated with accessible services, and currently examines the adaption of interactive experiences to place accessibility at their core. Accessible Everyone video and transcript. 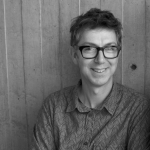 Graham is a designer, researcher, teacher and author of the manifesto Design Meets Disability (The MIT Press, 2009). He is senior lecturer in interaction design and product design at the University of Dundee, where he co-founded the Social Digital group and founded the Museum of Lost Interactions. Here his research is pioneering more expressive communication for people who cannot speak and currently find themselves limited by text-to-speech synthesis, through projects such as Six Speaking Chairs and a mid-career PhD entitled 17 ways to say yes. He is also exploring radical new materials for prosthetic hands: materials that do not imitate human skin, but are instead chosen for their aesthetic qualities, cultural resonances or personal significance. Previously Graham was a studio head at design consultancy IDEO. Accessibility and Possibility video and transcript. 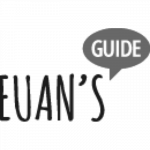 Kiki MacDonald co-founded Euan’s Guide with her brother, Euan, after struggling to find reliable accessibility information on venues as Euan became a wheelchair user. The site was launched in November 2013 and now has coverage across the UK with a growing International presence. Prior to working on Euan’s Guide, Kiki was an Investment Manager at Standard Life. Paul Ralph is Access and Inclusion Director at Euan’s Guide. Paul is a social entrepreneur, writer, web creator, and accessibility expert. Interested in ethical business, equalities, the social model of disability, and inclusion. His daily life is influenced by his being a disabled person. Euans’ Guide video and transcript. Heydon is a utilitarian designer and writer. He chose web standards over Macromedia Flash about a decade ago and has never looked back. He works with The Paciello Group and Smashing Magazine. His book Inclusive Design Patterns is published by the latter. Why inclusive design is like cooking curry video and transcript. As well as being a Chartered member of RICS Susan was also a member of their Inclusive Environment Consultant Scheme. 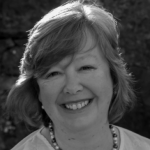 Susan holds a Master’s degree in Accessibility and Inclusive Design from the University of Salford. Other professional memberships include the National Register of Access Consultants (NRAC). Accessibility and Inclusive Design is important to Susan and current projects include providing Inclusive Design advice to two Scottish Universities and carrying out the Inclusive Design elements of the annual Civic Trust Awards. She is also a member of Network Rail’s BEAP (Built Environment Accessibility Panel) where together with disabled people/access experts Susan provides advice to designers at the earliest possible stage in the design process. Design for everyone video and transcript.